Showcase selected projects in a stylish grid arrangement. Atomized has been designed to connect your team, content and marketing apps with one beautiful view. The purpose of this application is to make visual marketing calendars for brands and agencies. Whether you’re working on the marketing communications calendar, an editorial calendar, brand planning calendar or publishing calendar, this application has got you covered. It’s time to give your content a new home. There is no more requirement of spreadsheets and workarounds for creative reviews and campaign planning. Making use of this application, you can edit your marketing calendar online and connect your other software and activities across teams. Next Stage Purpose is a group of passionate people, who firmly believes in helping people to live purposeful lives. Everything the organization do is based on the science of meaning and purpose. It is a web-based, scalable tool that is scientifically proven to increase purpose and happiness. Next Stage Purpose incorporates all the elements that empirical research shows fosters purpose in life. In addition to the online purpose discovery app. Purposes Inc. also offers one-on-one coaching opportunities in purpose discovery. Coaching certification and training is also offered for professionals in the fields of coaching, career counseling, financial planning and psychology who would like to become certified as a Next Stage Purpose Coach. Gobble is a weekly dinner service that delivers farm fresh 10-minute gourmet dinner kits to customers in CA, AZ, WA, OR, UT, ID, & NV. With the ability to be cooked in 3 easy steps and often times with only 1 pan, Gobble dinner kits are perfect for the kitchen-averse couples and uber-busy professional families who want to spend more time together around the table and less time shopping, chopping, and cleaning up. Gobble’s executive chef prepares new menus weekly that cater to every diet & lifestyle and the app’s personal dashboard allows families to easily customize their menus each week. Tested for quality, authenticity, accuracy and professional delivery. Zenory is a site for astrologers, where you can avail expert advice from trusted and ethical readers for all the problems, whether it is love, relationships, metaphysical, career, psychic insight, twin flames, soul mates, online psychic reading. At, the organization ensures that all of your readings are confidential, safe and secure. Making use of an advanced communication platform, Zenory offers the best quality reading from the best hand-picked psychics with over 15 years of proven experience. Stericycle protects what matters. From medical waste and document destruction to sustain services and compliance solutions, the Stericycle team has been serving customers since 1989. "Stericycle Communication Solution’s (SCS) is a value-based outcomes app that provides information about your organization’s potential to enhance revenue and reduce costs over the next five years. The Ammabox application is designed to build a win-win situation where customers get access to the best deals possible on the goods and services they love, and top vendors build their businesses through exposure to new customers. The goal of this application is to build a strong community that leverages the Ammabox platform to save money and build business! Ammabox provides a trusted, platform for great deals on food, entertainment, shopping, healthcare, and more for you to enjoy and share with your friends. It helps local and national businesses to grow by introducing them to new high-quality customers. Earningscast is a web application designed with one simple motto manage, discuss and share. This application is developed to manage all your earnings calls and more. The core purpose of this application is to help investors be better informed with easier access to company conference calls and also engage in meaningful commentary around the call. Game Roster believes online games are more fun with great friends, reliable players that share common interests, and tight knit communities where members are more committed because they care. Game Roster helps you find those players and build those communities. Start coordinating games and find players as it is one of the trusted sites for all your games. Film Skillet is the perfect place to promote your independent film. It is an international community of filmmakers and enthusiasts promoting quality independent films from around the world. Not only is Film Skillet a great place for networking, but it is also a great place to watch films. If you like drama, comedy, science fiction, horror, documentaries or animations, you’re going to love Film Skillet. Film Skillet is a one stop shop for aspiring filmmakers to promote their films to the world. Aftermarket.pl is an internet domain marketplace that allows users to buy, sell, and auction domains. Aftermarket.pl currently only supports Polish (.pl) and European Union (.eu) domains. The Aftermarket.pl API allows developers to automate many of the actions frequently taken by domain buyers and sellers on their site. Making use of the API, users can set up notifications, automate transactions such as listing or selling domains and check buyer/seller ratings. The company is offering SOAP-based API at free of cost; however, they charge a fee for actions such as selling, transferring, renewing, or registering domains. Alpine is a mobile media innovation company that provides you an enjoyable car lifestyle. The organization offers a premium-quality driving experience, support, enjoyment and entertainment to exceed your expectations. Alpine has been developed to offer unique products and services to add value and enjoyment to the driving experience to its valuable customers. AgSmarts is a precision Ag technology that is designed to offer moisture-sensing technology, predictive analytics and irrigation equipment automation that collectively represent a revolution in data-driven agriculture. AgSmarts’ platform combines software and hardware into a versatile suite of tools that real producers and their consultants can use today in the struggle to preserve resources, control costs and maximize yield. The AppMytrack is a music app template service, aimed at upcoming independent artists. Present music, videos, concerts, profiles and enjoy other social media features. Upload videos and music, and also interact with your audience. Let your fans listen to music and watch videos you have uploaded. Strexm mobile dashboard is created to be as convenient as possible by taking all the core components and comprising them into one sleek, intuitive mobile application. Keep track of basic stream statistics, update stream title, receive various notifications or post comments yourself while streaming or simply keep an eye on your stream. Get all the information about your stream in a touch. Freemix is a free art-collage editing tool that is designed to make creative expression fun, easy, and free to all. It is a powerful, intuitive and easy editing tool with thousands of community cutouts to remix, collage, and edit images. Freemix turns a device into an artistic outlet and lets you create “magazine and scissors” style collages. It’s a real collaboration with other users to remix their work and let them remix yours. Enable retail shops to excel in their industry, with predictable cost control and above-expected customer experience. The solutions offered by Snap2Cart let you modernize advertisements placed on the traditional offline media – printed media, outdoor advertising boards, booklets, catalogues, posters, etc., by bridging it with the Digital Media. Snap2Cart’s state-of-the-art technology enables recognition of any image from a magazine, newspaper or any other flat surface through your smartphone and offering various actions to be selected by the user. Pingtro is a digital business card application. The app is developed with a purpose to reduce the number of physical business cards you carry and store. Pingtro allows you to create a business card and share it with other individuals who has also made a Pingtro business card. Your digital business card will be stored upon your mobile device within the Pingtro wallet, thus eradicating the need for paper business cards entirely; acting as a completely green alternative. Share online and print them right away! Learn to draw and paint. Enjoy hundreds of short and fun video tutorials, by a professional artist. Making use of this application, you can easily follow the popular drawing and painting video tutorials on the YouTube channel Fine Art-Tips, by artist Leonardo Pereznieto from your mobile device. The app includes 14 video galleries ordered by subject so you can easily find the art tutorials you like. The app includes photo galleries where you can see images of the finished drawings done in the tutorials, for your reference. You will be able to share pictures of your own drawings to the Fine Art-Tips community and engage with other members. Fine art tips is a channel dedicated to advancing your talent and help you achieving your dreams. It is a handy guide to help you master the art of painting. With fine art tips, unleash your potential as an artist! Follow popular video tutorials by artist Leonardo Pereznieto to learn from the best and truly master your skills. In this channel, you will find free drawing tutorials and painting lessons in order to help you to be a better artist. Lightfoot is a unique, real-time, verbal coaching technology that helps drivers understand exactly how they need to drive their vehicle to be both safe and efficient. Lightfoot connects to the vehicle’s engine and uses Formula 1 style analytics to identify the specific vehicle’s efficiency ‘sweet spot’. When Lightfoot detects the engine is moving out of its sweet spot, it gives the driver both visual and verbal alerts to gently nudge them back into a safer, more efficient, driving style as quickly as possible. Strexm is built with only one primary mission in mind. To make streaming more accessible and beautiful. Crafting stunning graphics takes time, money, and a creative vibe. It is a free and innovative platform that enables you to choose from a vast array of designs and manage them through one, simple and intuitive, online dashboard. Challonge is a free machine-accessible tournament management and angle brackets. CHALLONGE! offers free current tournament management and square brackets (single & double evacuation, round robin, Swiss). Challonge introduced in 2009 as a handy bracket generator, non-knowing it was the commencementing of something much larger. Today, hundreds of thousands of citizenries trust Challonge for their tourneys, including arcade and PC/console table gaming venues, sports organisations, and countless on-line gamers. Organize all of your customer channels into one. Woveon is designed for businesses who have trouble keeping up with all their customers. The single interface makes it easy for business owners to visually identify, prioritize and personalize conversations. The application is developed by customer service experts to help your support teams deliver world class customer service. Woveon is a simple solution that allows you to manage conversations smarter across multiple platform and internal systems. Fuufoo is the easiest way to look up drug information, identify pills, check interactions and set up your own personal medical records. It is an all mobile-optimized to speed up your browsing experience. Available for Android and ios devices. Fuufoo is a premium pill identifier app with a searchable database of pill images which includes more than 14,000 Rx/OTC medications found in the U.S. You can search based on the imprint, drug name, color and shape. LockedOn has been engineered and built using cutting-edge technologies. It is a real estate software for top performers. Designed for high performing sales teams, LockedOn gives you the tools to get more listings and make more sales. Packed with advanced features and mobile capabilities. The LockedOn mobile app puts your real estate software in your pocket. It is available in iOS as well as Android. 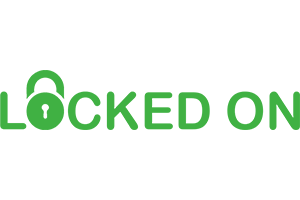 LockedOn is an all-in-one management system for real estate sales. This contact management system is meant to effectively control, engage, secure and convert contacts within and beyond the community. Hcook is a mobile application platform to connect home chefs to food lovers. Hcook is inspired by the memorable food experiences. It is a community created for home chefs and it’s a place to explore and experience delicious, homemade food. The founders of the Hcook have combined corporate experience of over 25 years and brings with them a diverse background in Legal, Finance and Marketing. At Hcook, every home chef is able to build a community of home food lovers, display their gastronomical masterpieces, share recipes, receive orders and get paid for those. Beetot app lets parents communicate with vendors who are engaged in their child’s learning. Parents can easily look through the information about vendors, read reviews, make comparisons and sign up for a program or an activity. On the vendor’s end, a CRM system helps them manage parents’ profiles with ease, keeping all the information in one place. A place for your child to learn, play, have fun and make friends. A perfect place for your child. KinderClub’s focus is on enhancing the child’s social and emotional growth by “Playing with a Purpose” and where “Caring, Guiding, Connecting and Educating” is demonstrated on a daily basis. Kinderclub is a program for an early age care that includes number awareness, early literacy skills, social living, language arts, music, art, nature study, games and more. SquareScene is an app designed to capture, showcase, and share your geolocation to keep in touch with people and discover more on things you love. Be up-to-date with what everyone is talking about and see what’s happening in the world. You can be the first one to learn its exact place by using geolocation tags while publishing. Shae is your very own virtual health assistant that uses interactive voice and text conversation to communicate a personalized health plan with you in real time via your phone, tablet, laptop, desktop, smartwatch, or any connected device. The app is designed to eliminate the confusion around health. Making “getting healthy” and “staying healthy” simple and convenient. No more guesswork for your diet, exercise and even lifestyle. No need to try to keep up with the latest fads or attempting to plan or remember your healthy choices. Shae does all of this for you, from any device. Oxagile helped an international LMS provider deliver a standalone, easily pluggable WebRTC module that enables collaborative learning for organizations via one-to-many and many-to-many videoconferences. Created a mobile version of a car retail service. The app can scan VIN-codes, extract the car info from the database and calculate the approximate price range. The client had an offline business, helping kids raise money for cheerleading competitions by selling popcorn and donating 50% of income. At certain point they decided to go online and chose Waverley as an engineering partner. TVRelaks is the application that provides on demand based television, movies and other videos at one place. It allows the users to view video contents on various mobile devices, in structured manner with well-defined categories, ratings and feedbacks. Nimbus Home 3 offers complete control of your Nimbus System. Control lights, shades, security, music and view live camera feeds from your favorite mobile device. BuddiesOut provides a hand-picked shortlist of workout buddies nearby, with a curated list of fitness classes in town to explore with your buddies. Thots is a next generation messaging service taking human communications to the next level. Thots is developed with the idea in mind that we should have more control over our communication and only words or pictures are often not enough to convey what we want. Welcome to the future of holiday creation. CityFALCON (www.cityfalcon.com) is a 21st-century financial news aggregator which provides a comprehensive, relevant, personalized and real-time news feed for fundamental investors, powered by crowd-curation, social media, and machine learning. An innovative culture is much more than technology, it involves putting workspace around your process and people that spurs ongoing engagement and action against things that matter. Good habits take time and the InventValue program conveniently puts all the pieces in place to help innovation thrive continually. Sprout at Work is a health and wellness application driving employee participation in healthy lifestyle choices. The app, for both web and mobile, includes components of gamification such as goal setting, personal-best challenges and team competitions. To accommodate Sprout’s customer-focused business strategy, agility and timeliness to market, we helped develop Sprout’s hybrid mobile app using AngularJS, Ionic framework, and an integrated Agile development process. Scrapbooks.io was a crowd-sourced social media scrapbook that collected feeds from multiple social media sources, and provided a geographic and event-based view of what was happening. Rangle delivered a NoSQL analytics platform to stage large volumes of data as well as a compelling responsive-design map and card-based user interface that scaled to ten’s of thousands of social media data points. Sync.com was an AngularJS and Ionic mobile application that Rangle delivered as a minimal viable product that went to market in just two short weeks. The result was a drop-box like experience with a zero-knowledge server data architecture.The key technologies used were Lean UX/MVP process, Ionic, AngularJS, PhoneGap/Cordova, Custom Android and iOS Cordova plugin integration. The final branding package included a logo, color palette, business cards, and letterhead, with an additional document outlining brand guidelines. AppLift (www.applift.com) is a leading mobile ad tech company that empowers the mobile app advertisers to take control on every stage of the app marketing lifecycle. AppLift uses DataLift 360 programmatic platform providing advanced data integration, extended targeting and audience management capabilities. The application helps advertisers to grow and keep quality users from one interface. It allows app marketers to access all major mobile ad inventory worldwide. By using the app, you can control campaigns through a single technology platform. DataLift 360 helps to get and keep the most valuable users.